Hello! I'm really enjoying all my flower stamp sets lately. Today's card features MFT Modern Blooms and Paper Smooches Reflections stamps. I love this color palette of orange, golden yellow and peach. 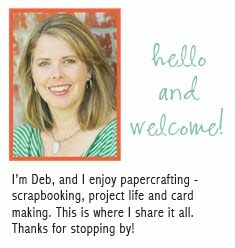 The stripes were painted on white cardstock with a wide paintbrush and Coral Bay acrylic paint and then cut out with a stitched die. 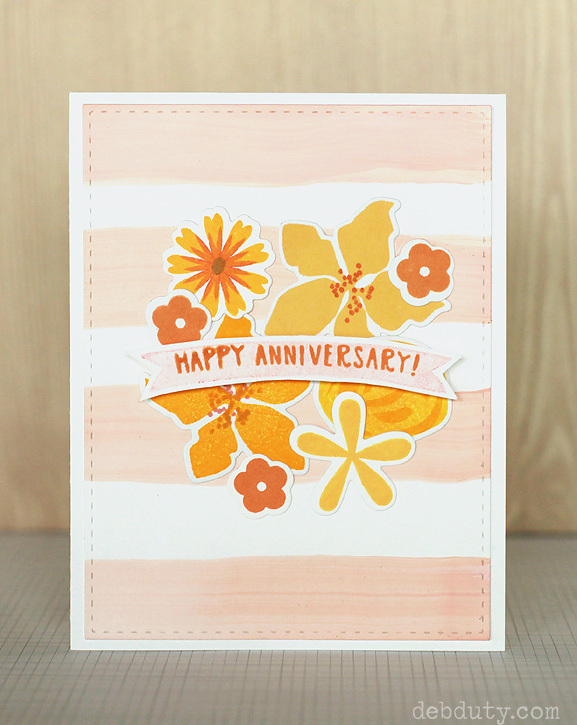 The banner and sentiment are from this Studio Calico stamp set which is no longer available. 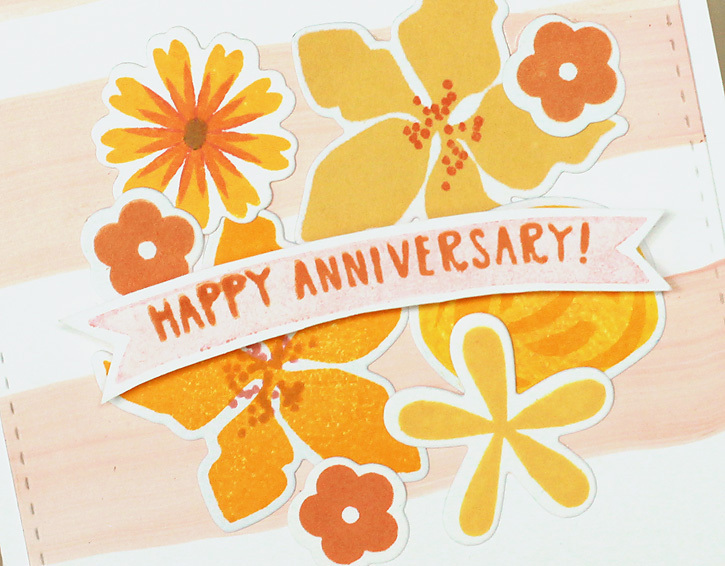 After cutting out and stamping each flower, I layered them onto the striped panel and then placed the banner on top with dimensional adhesive. I find that these MFT and Paper Smooches dies are difficult to use because they are solid. I recently purchased a Misti Stamping tool which is available here. With this tool, the negative of the die cut can be used to line up the stamp perfectly on the die cut. Kristina Werner shows how in this video (fast forward to 1:36 if you just want to see the part about the Misti). This project isn’t a difficult one, but it will make things much easier over the coming on Paper Shredder site.